My first instinct is to apologize for my lack of posting but internally I know that you will understand. 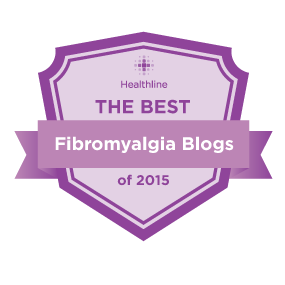 I feel guilty about not being there for my fibro friends/family. This time it wasn’t my physical health that has kept me from posting but rather my emotional/mental health. I have been in a constant state of Meh or Blah. I have allowed myself to get in a pattern that is not good for me physically or emotionally. After work, I come home immediately change into my pajamas and sit in my chair. Only opening my laptop to order meds, pay bills or for Christmas shopping. Sitting, watching tv by myself (husband sleeps evenings). I know this is the case for so many but I let myself get to the extreme. Weekends I did not leave the house. I stopped visiting my neighbor (which he reminded me of by sending texts asking me if I was still around). I cancelled every time I was supposed to do something with a friend. The cupboards were bare and my husband would bring home odds and ends so we would have dinner to eat. Although, I really had no desire to eat. I had planned on going to my students basketball games, cheer performances and the school play. I had found a reason to stay home for all of those activities. I registered for many online videos and they are still sitting in my saved video folder unwatched. Historically looking back this kind of behavior hits me in February. After living in the cold, snowy, gray NW Wisconsin winter I am in desperate sun come February. This time, it began at the end of summer. What was the trigger? Our only daughter was going off to college in September. Kids that grow up having a parent who is chronically ill often have to grow up fast. She isn’t just my daughter. She is there in the night when I need meds, ice packs or to heat up my rice bags. She saves me steps and spoons by doing the laundry, dishes, and running errands for me. She helps by cleaning the house. Most importantly on days that I just need a long soft hug. I was losing a daughter and a caregiver at the same time. I was scared. How am I going to do those things when she was gone. We dropped her off to college. No tears for Mom. Three weeks later, the tears came and didn’t stop. I adjusted. My husband has stepped up and helps me when I need those things done. Things get done when things get done. But… I still isolated myself from everything/everyone. I know better. I need to be involved. Our daughter has been home the past month. It has been great having her home but she has pointed it out to me that I need things to do. I need to get back to myself. She leaves on Saturday. I will be okay this time. Last night, I began the change. I went home after work. I did not change into my pajamas. I left the house at 5:30 p.m.to go sit in awful school bleachers and watch a HS Girls Basketball game. Today, I started writing. I watched a facebook live. I began taking a course through the University of Minnesota called Preventing Chronic Pain and I might actually have a new client sign up. I have rsvp’d to 2 online meetings for this weekend. Today, the sun is shining outside and I a focusing on getting back to being a true Fibro Warrior ~ Living Life and not existing as a person who has Fibromyalgia.